Catalytic converters (CC) are an exhaust emissions control device that needs regular cleaning to perform at their best. A catalytic converter’s job is to clean the toxic gases and pollutants in the exhaust gas into less toxic pollutants but whose responsibility is it to clean the catalytic converter itself? Yours! In this guide, we review the best catalytic converter cleaners on the market. Why Does A Catalytic Converter Require Cleaning? Catalytic converters are most commonly found in vehicles whether they are powered by diesel or gasoline. 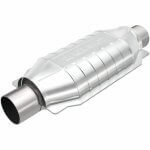 You may also encounter some kerosene heaters, and stoves have a CC, but this guide is strictly constructed towards helping vehicle owners maintain their emissions exhaust system by selecting and using the best catalytic converter cleaner. Some folks ask why does a catalytic converter require cleaning? Well, the straightforward answer to the question is to prevent catalyst poisoning, improve exhaust flow, and to reduce damage to the device by lowering the chances of it rusting. 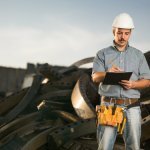 Catalyst poisoning occurs when substances that contain parts of the exhaust penetrate the working surfaces of the converter. As a result, these contaminants of which the most common is lead, sulfur, manganese, and silicon, eat away at the walls of the converter up to the point the device renders itself useless, results in a breakdown (not on the road if your lucky), and may require an overhaul of the entire emissions system (worst case scenario). Some good mechanical repair shops may include a catalytic converter cleaning service as part of a regular oil change, but if you’re like most vehicle owners that rarely choose the premium service, then you’re probably not among the ones who get their catalytic converter cleaned often enough. 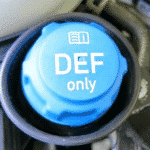 Furthermore, if your converter is not catalyzing soot deposits, it will affect the EGR, SCR, and DPF if you have one. High levels of unburned hydrocarbons will increase the temperature of the converter which will severely restrict exhaust flow. In some cases, it has led to the deactivation of the catalytic converter which ignited a fire. You can read about it more, here. If we’ve convinced you that you NEED to get a catalytic converter cleaner and pump it into your fuel tank so that it mixes with the fuel and cleans your CC, then you must use only the best. 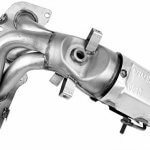 Our list of the best catalytic converter cleaners will aid you in making the right choice according to your vehicle and fuel type. 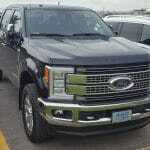 Doesn’t alter fuel and is safe for hybrid, diesel, gasoline, and flex-fuel (E85) vehicles. The active ingredients contained with this product are XYLENE, Acetone, Propan-2-ol, C11-14, N Alkanes, Isoalkanes, cyclic, and less than 2 percent of aromatics. Now I’d hate to bore you with details of exactly what these chemicals are but will inform you that they are flammable, toxic to ingest, and requires you to be cautious around them. Always read the label and avoid making contact with the liquid and keep it away from ignition sources. 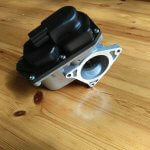 Holley Performance Products manufacture Cataclean under the Mr. Gasket product brand. They’ve been around for nearly a century and primarily produce automotive carburetors. 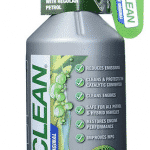 To use Cataclean, you pour the entire bottle into your vehicle’s fuel tank and usually drive for at least 15 minutes. 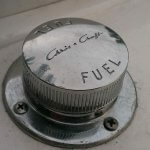 There is no specific requirement on how many liters of fuel you must have pre-filled into your reservoir, but it is a recommendation to keep the fuel at a level between ¼ and ½ full. You must purchase this cleaner and use it at least once per 4 months or once per quarter (every three months) if you want to keep the converter clean and achieve optimal results. The Solder-It catalytic converter is also a great option. 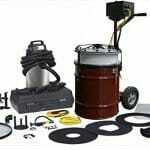 It’s budget friendly if Cataclean seems a bit expensive for you. There have been customers that had an indicator light on their dashboard signaling a problem with the oxygen sensor, but after using Solder-It CAT-1, it cleared the code. It’s ingredients also have properties that reduce and eliminate the odor that transmits through the exhaust. 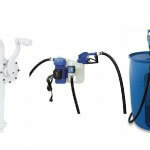 To use this catalytic cleaner, you must use a funnel and add the contents of the bottle into your fuel tank until empty. Following that, begin driving and do so until your fuel tank is near empty and then refuel. For visual experience, insert the liquid contents into your gas tank when your fuel level is ¼. This is another option to consider. 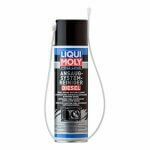 It is useable on petrol, diesel, and hybrid vehicles and helps clean the entire exhaust system. It is produced in Germany and sold in the USA. It has decarbonizing effects that work to eliminate soot levels and contaminant deposits from the walls of the CC. The instructions for use are like other cleaners on the market, but there is a label telling you how to use it on the canister. In conclusion, periodically using the best catalytic converter cleaner will ensure that your exhaust system is running free from carbon and soot deposits while enhancing the performance of your vehicle at the same time. Most of these cleaners also tackle the issue of invigorating the oxygen sensor. The oxygen sensor is installed after the CC because they need to monitor if the burning of the soot levels is being performed efficiently which they do by taking voltage measurements. If you’re are skeptical if any of these cleaners will still work with your vehicle, you can always use the vehicle configurator on Amazon which will automatically calculate its compatibility with your truck. If not, you can leave us a comment, and we’ll be happy to help you out. Always make sure that you do not delete the emissions technology on your car or truck but learn to maintain it!